Tel Aviv Ben Gurion Airport has no information on it’s website relating to smoking. Various searches find old and new information. Smoking is permitted in various areas inside and outside the terminal. There is a smoking area past security near D2. 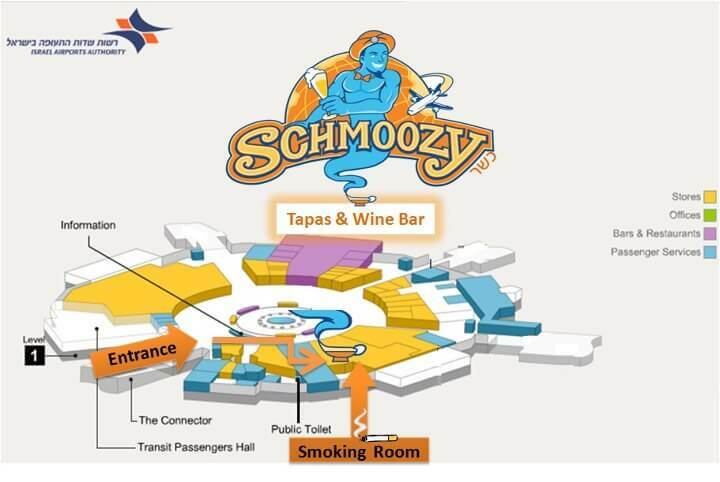 Smoking is also permitted at Schmoozy Bar which is open all hours. It is located as you come down the ramp and enter the Duty Free court, make a hard right. We are right next to ALM Electronics & V.A.T refund.